Home » Hemp Oil vs CBD Oil: What’s the difference? Hemp oil? Hemp seed oil? Cannabis oil? CBD oil? What’s the difference? Why are there so many different terms floating around? What do these oils do? People commonly mistake hemp oil and cannabidiol (CBD) as one and the same. They are often used interchangeably, but should they be? Likewise, many people confuse hemp seed oil with hemp oil. There are a variety of different oils on the market with various benefits and ingredients. Although they might be similar, you should research and understand their differences when looking for an oil that’s right for you. In this article, we hope to clear up the differences for you once and for all. Then as a bonus, we’ll outline how to use hemp oil and CBD oil, and compare some common delivery mechanisms. Cannabidiol (CBD) is also derived from the cannabis sativa plant. The purest and most potent CBD of the cannabis plant comes from the “aerial parts” (the flowers and leaves have the highest concentration of cannabinoids). CBD and other cannabinoids are extracted from cannabis plants using ethanol or CO2. There are more than 120 known cannabinoid compounds in cannabis, including the most well-known cannabinoids: CBD and THC. Many people make the mistake of associating CBD with the psychoactive effects of THC. Unlike THC, CBD oil will not make you feel “high”. We naturally produce cannabinoids through our body’s internal Endocannabinoid System (ECS). The ECS is also responsible for managing the cannabinoids we consume. The ECS is found throughout our brain and our body, and is responsible for regulating many of the body’s physiological responses and systems. These systems include: mood, appetite, sleep, and pain response. CBD oil acts a natural supplement for supporting the health of our ECS. Click here for a more extensive overview of the endocannabinoid system. For thousands of years, people across the world have used cannabis as medicine, in religious ceremonies and recreationally. A 1986 review discusses the first known accounts of people across the world using cannabis for these purposes, which date back 5,000 years. 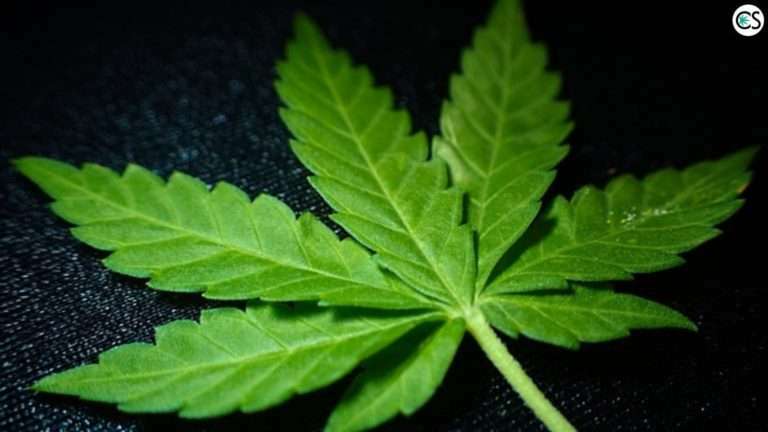 Despite its early and continuous uses throughout history, the present day use of cannabis remains controversial, and even criminalized in some cases. CBD is gaining attention recently, but it’s actually nothing new. About 75 years ago, Roger Adams, an American chemist and Harvard graduate, first isolated CBD. In 1942, Adams received a patent for his work on the isolation CBD. After Adam’s discovery, other scientists began researching it for themselves. Dr. Walter S. Loewe conducted the first CBD test on lab animals. Through his research, he discovered CBD didn’t produce observable effects on rats like the psychoactive effects of THC. In June 2018, The Food and Drug Administration (FDA) announced their approval of the CBD derived pharmaceutical, Epidiolex, the first prescription drug derived from marijuana. CBD was recently categorized as a Schedule 1 drug. Fortunately this all changed when Trump signed the 2018 Farm Bill, which distinguished hemp from marijuana under the Controlled Substance Act (CSA). What is CBD oil good for? What are the benefits of CBD oil? Due to federal regulations, it’s difficult to find research on the benefits of CBD oil. CBD oil is legal, but manufacturers are limited in what they can claim since research on the benefits of CBD oil has been stunted. However, users report it naturally supplements physical and mental health in a variety of ways. People who have experienced the supposed benefits of CBD have been are trying out different products on the market. One exciting new arrival on the market is NatureRx, which differs from the other products because it actually tastes good. NatureRx is naturally flavored with organic, Brazilian orange oil extract, and sweetened with organic zero-calorie monk fruit. It’s made with safe and guaranteed THC-free CBD oil, extracted and purified only from US-certified organically grown hemp. The main difference between hemp oil and CBD oil is that hemp oil is only extracted from the hemp plant, while CBD oil can be extracted from hemp, from marijuana, and even from other plants to a certain degree, such as the very same hops used in making beer. Just as a square is a rectangle but a rectangle is not a square, hemp oil is CBD oil, but CBD oil is not necessarily hemp oil. As the name suggests, hemp oil is oil derived from the hemp plant. Hemp oil extract comes from the flowers, leaves and seeds of the hemp plant. People are often surprised to learn that the hemp plant contains dozens of cannabinoids; THC (tetrahydrocannabinol) and CBD (cannabidiol) being the most famous. What’s the difference between hemp oil and hemp seed oil? Meanwhile, only the seed is utilized to make hemp seed oil. The seed is cold-pressed, much like in the process of extracting sesame oil or extra virgin olive oil. The result is a vitamin-rich oil which serves a variety of food purposes. However, hemp seed oil contains neither THC or CBD. Prospective CBD buyers should be careful not to purchase hemp seed oil thinking otherwise. Hemp dates back centuries, as early as 8000 BCE, where it was discovered in China and Taiwan. The first remnants of hemp were found in pottery and food, but the crop increased in value as time progressed. It’s believed that hemp was one of the first agricultural crops. It was used as a textile to make clothing and shoes, as well as rope, paper and fuel. It was an everyday essential. Hemp was introduced to North America in 1606. In fact, colonies were required to grow it. The first draft of the Declaration of Independence of the United States was written by Thomas Jefferson on paper made from hemp. However, with time the world’s perception on hemp changed. Hemp was completely banned in the 1970s. This happened due to hemp’s association with marijuana since they are both technically cannabis. When the US government began cracking down on marijuana, hemp became highly regulated as well. This resulted in hemp’s controversial classification as a schedule 1 narcotic. The legality of hemp has been debated for decades, up until this past year when President Trump signed the 2018 Farm Bill and legalized hemp for industrial purposes. Technically, “Industrial Hemp” is classified as containing less than .3% THC, and industrial hemp farmers must be licensed and have their crops tested. This is a big step in history toward a more sustainable future through the agriculture of hemp. What is hemp oil good for? What are the benefits of hemp oil? Hemp oil can be used in many ways, offering a variety of life enhancements. As a vitamin supplement, hemp oil contains high levels of vitamins E, B, B1 and B2. It also contains potassium, magnesium and fatty acids, while being an excellent source of protein and antioxidants. Another place you can find hemp oil is in the cosmetics industry. It’s in many products due to its perceived anti-aging properties. The fatty acids in hemp oil (Omega-3 and Omega-6) show promise as a treatment for many skin conditions, including psoriasis, acne and even certain types of melanoma. The fatty acids in hemp oil can also act as a natural supplement for supporting metabolism. That’s right, hemp oil can help maintain healthy cholesterol levels. Once you’ve decided which oil you would like to use, the next step is picking the delivery method which works best for your needs. You might think all methods provide similar results, but that’s not the case. Depending on which method you choose, your bloodstream will receive different amounts of CBD, otherwise known as bioavailability. Just because a product claims to contain a certain amount of CBD doesn’t mean your Endocannabinoid System will actually absorb that much. By choosing the right delivery mechanism for you, you can save money and consume with comfort. Let’s talk about some of the most common delivery methods, and the pros and cons of each. Of all the methods, intravenous injection and suppositories provide the highest bioavailability. Intravenous injection delivers 100 percent of a bioactive ingredient into our bloodstreams. This method is beneficial for research purposes, but there are more convenient methods for daily use. Smoking and vaping products are one of this generation’s newest addictions. Although a 2012 study found smoking CBD offers 31 percent bioavailability, you should consider these methods can pose obvious, unnecessary health risks. Always keep in mind the long term consequences before you put anything into your lungs. It’s easy to make the mistake in thinking all oral administrations are the same, but some are more effective than others. There is a vein under our tongues called the sublingual gland. Bioavailability is much quicker and greater when CBD enters our bloodstream sublingually compared to edibles and consumables. 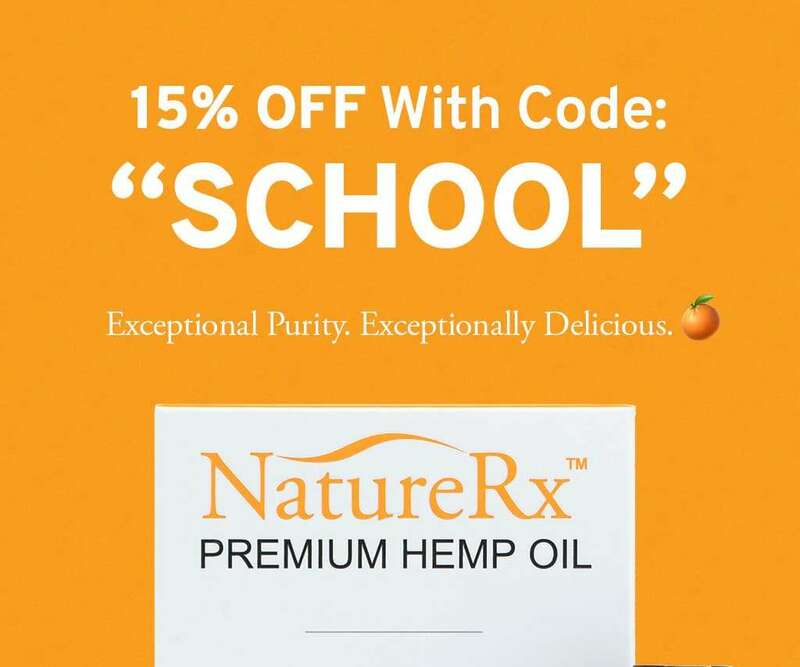 NatureRX is a sublingual CBD oil. You simply shake the bottle, then spray the oil under your tongue. Allow it to rest under the tongue for 30-60 seconds before swallowing for maximum effectiveness. Plus, your taste buds will be tingling from its fresh orange taste! Although these options are popular, they aren’t as effective as the other options on the market, because they must first pass through the digestive system in order to take effect. Some scientific studies suggest our gastrointestinal tract offers only around 4 to 20 percent bioavailability. Hypothetically, let’s say you consume a 100mg edible, only 20mg will actually reach your bloodstream, translating to only 20 percent bioavailability. Therefore, to maximize both speed of delivery and amount of actual CBD absorption, sublingual oil is preferable to edibles and consumables. When you hear about hemp oil and CBD oil it’s easy to get confused. Are they the same? Not necessarily. Hemp oil is considered CBD oil if it contains CBD. However, CBD is it not always considered hemp oil. Finding the best oil and delivery method for you can get frustrating. Don’t rush into anything without checking out the products ingredients, its safety record, where its hemp is grown, and its lab results. Conduct your own research. This is the best way to ensure your safety and your choice of products’ effectiveness!